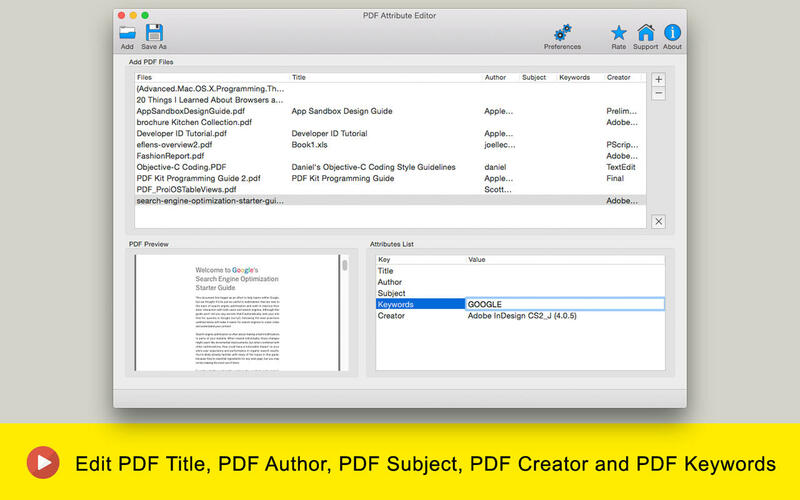 PDF Attribute Editor is a powerful tool to edit your PDF Attribute files easily in batches. It offers you possibility to quickly add, edit, and remove properties effortlessly. This software is meant for all users, novice or advanced. It is very easy to be used. 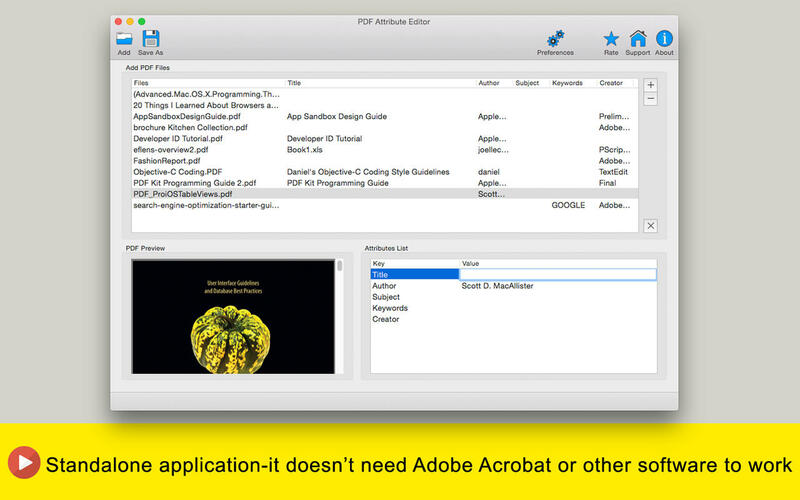 This simple and handy software makes it convenient for you to edit the attributions of PDF files in a few minutes. PDF Attribute Editor allows you to modify the properties of PDF files in batches to save lots of efforts. You can simply drag & drop PDF files on the table to begin editing immediately. 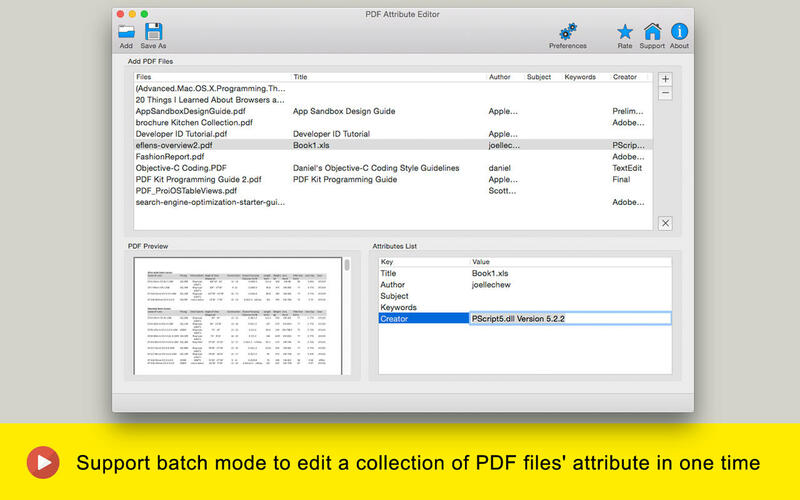 Support batch mode to edit a collection of PDF files' attribute in one time. It can save you quite a bit of time by changing the properties of PDF files in batches instead of one by one. Edit PDF Title, PDF Author, PDF Subject, PDF Creator and PDF Keywords. Standalone application-it doesn’t need Adobe Acrobat or other software to work.